Don’t look now but Disney is definitely cashing in on their fairly recent acquisition, Marvel Entertainment, with the opening of Disney California’s Guardians of the Galaxy: Mission Breakout. 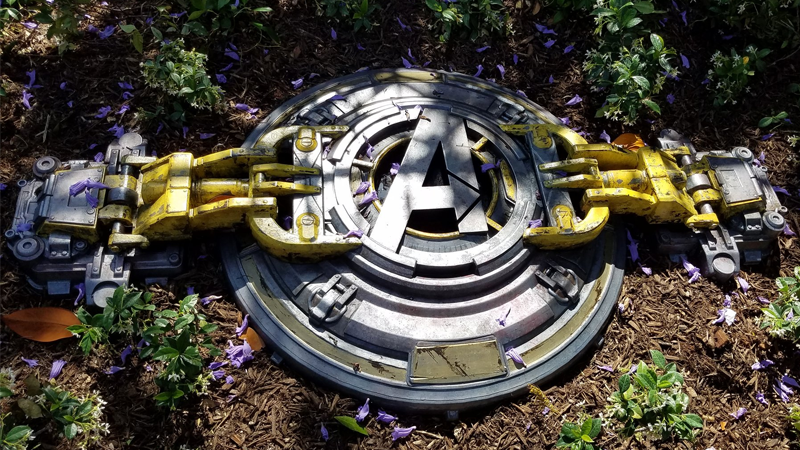 But there’s more as there are now posts showing what looks to be an Avengers-themed hatch found near the attraction. According to Slashfilm, not only was this a teaser of things to come, they’ve also placed talents that not just hype up the current ride “Mission: Breakout” but also tie-in neatly to whatever the hell attraction Disney is building featuring the Avengers. Disney went even as far as have guys go full on “Men in Black” and at certain points in the queque, people would see men in hazmat suits. Whether or not they’ll be building an Avengers attraction is still up in the air. What’s important is that they are building something big. Amazing Spider-Man and Venom Crosses Over in VENOM INC.
Next story REVIEW: Wonder Woman – Finally DCEU! Finally!